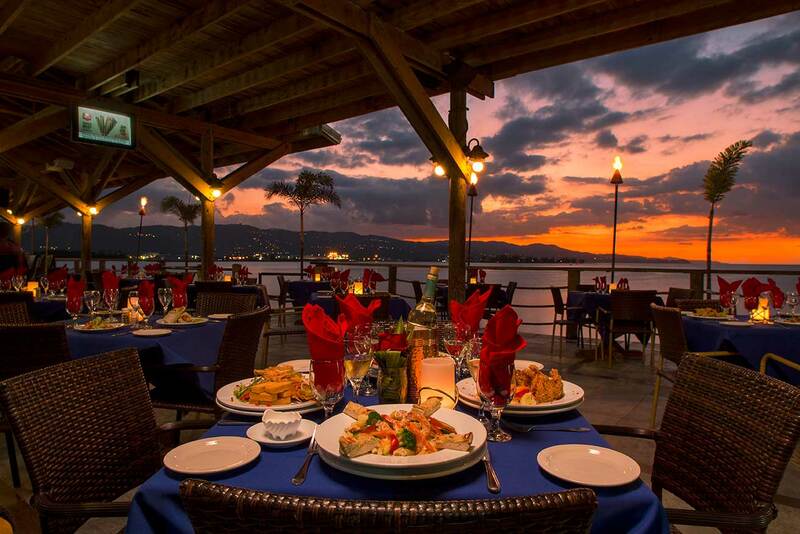 Pier1 Jamaica » Montego Bay's Seafood Restaurant, Bar and unique Entertainment Centre since 1986. We pride ourselves on cooking each meal to order and hope you enjoy your time with us and come back soon. Pier 1 is second to none, with a wide variety of seafood dishes from Lobster to a local favorite Land Carb done with a Jamaican flare. If Seafood is not for you, we have been told that our Beef Tenderloin is second to none. From Salads to Tofu, Jerk Chicken to Jerk Sausage Pasta our menu suits even the most finicky diner whether at lunch time or for dinner. For the Jamaican pallet we have the best Jamaican dishes, from Curry Goat to Oxtail. Try and make a reservation because we are always full. Your favorite flavor blended with Appleton Special run & ice. The Perfect island refresher! The King of Caribbean Cocktails, featuring that perfect blend of tequila, a hint of salt & your favorite tropical fruit flavor. Looking for a new martini recipe? Explore fun and flavorful cocktails. Enjoy one of our signature cocktails which includes vodka, peach schnapps, arange & cranberry juice.